Heavenly Father when You created us You gave us a mind that has allowed us to rule over the world. You also set us free to think for ourselves and we have created the world as it is today. In looking around we have reason to be proud and reason to be sad at our undertakings. We pray Lord that You will led us in the direction of Your teachings and that what we do will be a benefit to all. Thank You for bringing us to Optimism with the purpose of being a benefit to youth; who will inherit what we have done for them. With love and dedication may we make it a better world for them and they in turn will do the same. Amen! Stan Fronzaglia stated there will be a Build a Bear meeting on Thursday 8/9/18 at 6:30 PM. The next Build a Bear will be for Sickle cell anemia on August 11th. It will be from 6:30 to 9:00 at the Boonshoft museum. Volunteers doing setup should arrive at 6:15 and the rest at 6:45. Over 100 kids are signed up. Tom Novak, Avenue of flags, announced there is a flag assembly party at 9AM on 8/8/2018 at Flag headquarters. 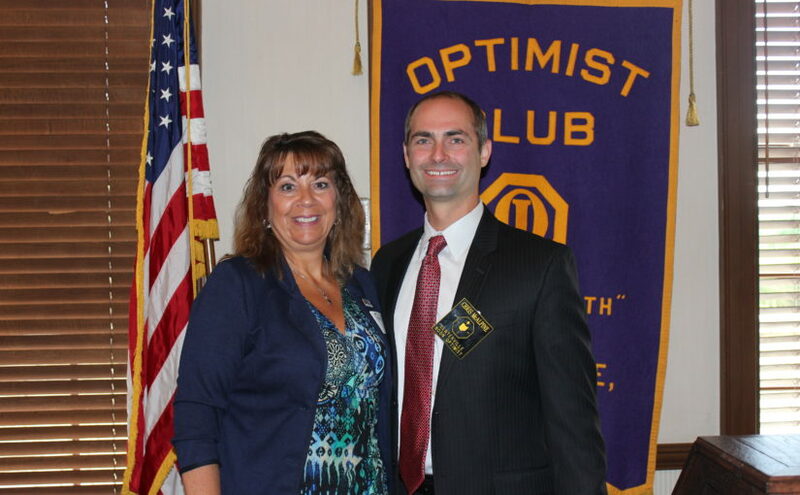 Pat Behn said we are working with the Ohio Optimist District to donate School Supplies to kids that can’t afford them. All items are welcome. The best way to donate is to bring any items to our lunch at Forest Field, but you can bring items to the convention as well. Paula Kalaman announced that the 21st Annual John P. Kalaman Memorial Golf Tournament and Pig Roast will be held Monday, September 10, 2018 at Yankee Trace. The John P. Kalaman Memorial Scholarship has given away over $270,000.00 in scholarships. To participate call 937-438-GOLF. Jerry Stahley announced there is a golf outing on 8/16/2018 before the Ohio convention, at Yankee Trace for $60 per golfer. To participate call 937-572-5044. President Chris McAlpine announced that on 8/8/2018 at 4:30 the Forest Field Park playground CNO funded will be dedicated. He will be one of the few people to say a few words. Editor’s note, this version of the CNOtes was completed after the dedication. The dedication speeches were great and Chris did an excellent job as always. Everyone in the club should feel good about how amazing the new playground is. It is accessible for kids of all abilities. Gary Smiga detailed our donations to area school libraries. Dave Kay suggested we begin donating to school libraries when he was CNO president during 1999-2000. To date we have donated $60,000. The idea is to help promote reading. Representatives from each school were here to receive their donation check. This year Incarnation, Miami Valley and Spring Valley each received $300. The Centerville Schools’ 12 buildings also received $300 each. Total donation to all 4 school systems was $4500. Gary Smiga introduced Allison Ormsby, who was one of the four winners this year of a $1500.00 scholarship from CNO. The other three winners presented their essays back on June 5, 2018. You can see the details of this award in this previous CNOtes article. Allison will be attend Wittenberg University in the fall of 2018. She plans to work in Nursing and then get her Master’s Degree to become a Nurse Practitioner. The check will be sent directly to Wittenberg and she can use it towards any expenses at Wittenberg. She read us her essay about the importance of volunteering and here are a few statements. Before 9th grade, she went to summer camp for field hockey. High School seniors were volunteering at the camp. A senior named Kristen befriended her and helped her out a lot during the camp. High School Students owe it to the community to volunteer. Julie Noeth introduced today’s speaker, Terri Leputa, the Associate Vice President for Resource Development at United Way of the Greater Dayton Area for 10 years. Her work involves engaging people in the work of United Way by supporting the organization with their treasure, talent and time. Prior to joining the United Way Team, Terri spent 9 years at the University of Dayton where she worked in the President’s Office with both Brother Raymond Fits and Dr. Dan Curran managing the work of the Board of Trustees and other leadership groups on campus. She is a graduate of The University of Georgia and received her Master’s Degree in Educational Administration from UD. A native of Albany, New York, Terri lived in New York, New Jersey, and Georgia before moving to the Miami Valley region in 1994. She lives in Miami Township with her husband, Joe, and spoiled rotten dog, Daisy. Terri has 2 grown sons, a stepdaughter and stepson and 4 beautiful grandchildren. United Way does so much, she told us today’s presentation would be focused on ways United Way helps children. United Way fights for the education, health, safety and financial well being of everyone in our community. United Way started 104 years ago in 1914. Even though the economy is doing well in our area there are issues. They try to provide a hand up instead of just a hand out. They help support food pantries because of food insecurity. They try to find what factors are causing the food insecurity in an area or household. Is there a drug issue in the home? Is there a training issue, such as how to prepare proper meals? There is a service called HelpLink 2-1-1 which is a referral service that is available 24/7/365 for anyone needing information on available services. This service, supported through donations to the Live United Fund, is free and confidential and could be for anything. In November 2018, United Way of the Greater Dayton Area will launch VetsLink, a division of HelpLink, to provide veterans and their families assistance in connecting with the array of health and human services available in our region. United Way also puts on a summer literacy program called Freedom Schools. This is 6-week summer program focusing on at-risk youth that gives access to quality activities. This year there were 490 students at 7 locations. It is taught by college students. The program has been very successful and it reduces the summer slide that a lot of students have during the summer. On average these kids come back to school 4 months ahead of their peers. 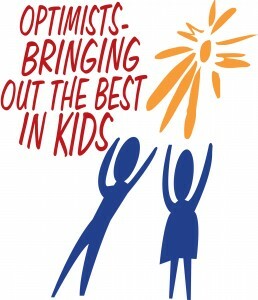 The program keeps kids on track and teaches them to value academics. Anyone that brought in an umbrella Being a pessimist about the chance of rain. Evelyn Griffin You are so nice that you are getting the “We don’t know what you are up to” fine. Erin Belangia-Sanchez Fined for missing CNO lunch a lot recently. Anyone who did not buy a 50/50 ticket Not buying a 50/50 ticket. Anyone that has not been fined this year You are now fined. Everyone that attended the Euchre party For conduct unbecoming at the recent Euchre party. Bob Collins At the end of July, I completed my goal of a 450+ mile ride across Ohio to raise over $1,000.00 for KIDS CANCER research. Brian Nolan Thank you to all the volunteers for the Optimist Kid’s Day in the Park. Julie Noeth Her and her Fried Molly Petsch got to hear Debe Dockins sing a beautiful rendition of the National Anthem at the Scleroderma Walk on Saturday, 8/4/2018.